Given how central fasting is in our spiritual life, it’s noteworthy that the Church puts in front of us an epistle that seems to minimize its importance. Food, the Apostle Paul tells us, “will not commend us to God. 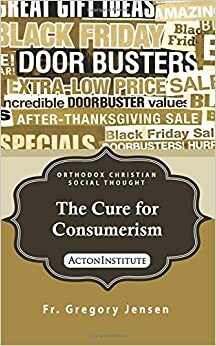 We are no worse off if we do not eat, and no better off if we do.” While fasting matters, what matters more is how I use, or misuse, the freedom I have in Christ. Am I “a stumbling block to the weak”? Have I misused my freedom and so “destroyed the brother for whom Christ died”? These are hard questions and they reflect a real concern on Paul’s part. There were those in the early Church who by their actions kept others from the Kingdom of God. It wasn’t just the “scribes and Pharisees” against whom the charge was laid that “you travel[led] land and sea to win one proselyte, and when he is won, you make him twice as much a son of hell as yourselves” (Matthew 23:15, NKJV). Even among the first Christians, there were those who actively sought to keep others out of the Kingdom of God by imposing on them the Law of Moses as the pre-condition for salvation. It is against these “false apostles” these “deceitful workers” who, like Satan, transform themselves “into an angel of light” that Paul aims his polemics (see 2 Corinthians 11:13,14, NKJV). When he confronts with these men Paul boasts in his obedience to the Law, his status—like them—as the “seed of Abraham” (see 2 Corinthians 11:22, NKJV). But all of this he counts as useless when compared to the grace of Christ. St Paul tells the Church at Philippi that “I also count all things loss for the excellence of the knowledge of Christ Jesus my Lord, for whom I have suffered the loss of all things, and count them as rubbish, that I may gain Christ and be found in Him, not having my own righteousness, which is from the law, but that which is through faith in Christ, the righteousness which is from God by faith; that I may know Him and the power of His resurrection, and the fellowship of His sufferings, being conformed to His death, if, by any means, I may attain to the resurrection from the dead” (Philippians 3:8-11, NKJV). Only one thing matters. That we experience in our own lives Christ’s triumph over the powers of sin and death and so attain in our own resurrection from the dead. Everything else in our Christian life finds its place relative to our acceptance of Christ’s victory. And everything in our Christian life must serve to deepen our participation in “the divine nature” (2 Peter 1:4, NKJV). This explains, turning to the Gospel, Jesus’ seemingly harsh words. Though it has become fashionable—both outside the Church and even among some in the Church—to teach otherwise, the “Fathers have appointed this day’s feast commemorating Christ’s impartial Second Coming” to remind us, to remind me, “that God is not only the Friend of man, but also the most righteous Judge, Who recompenses to each according to his deeds.” We commemorate the Last Judgment “to rouse [ourselves] from the slumber of carelessness unto the work of virtue, and to move us to love and compassion for our brethren” (Judgment Sunday). Above all, we must give ourselves over to the love of neighbor. Following the fathers of the Church, we hear in the Gospel Jesus commanding us to care for the poor, for those on the margin of society. In “the least of these” we encounter Jesus and what we do, or fail to do, for the least of these we do, or don’t do, for Jesus. How I care for my neighbor in his need is the standard by which my relationship with Jesus Christ is judged. And it is the standard by which I acquire or lose the Kingdom of God. But “the least of these” are not only the materially poor and the socially forgotten. The least of these are also, (as St Paul’s words in 2 Corinthians 11:16-23 suggest), those who have responded obediently and generously and gone out “as sheep in the midst of wolves” with “neither gold nor silver nor copper in your money belts, nor bag for your journey, nor two tunics, nor sandals, nor staffs’ (Matthew 10:16, 9-10 NKJV) “to heal the brokenhearted, to proclaim liberty to the captives and recovery of sight to the blind, to set at liberty those who are oppressed” and above all else to “proclaim the acceptable year of the Lord” (Luke 4:18, NKJV, compare Isaiah 61:1, 2). Those who support the evangelists in their work are doing nothing less than partnering with Christ in the redemption of the world. Likewise, those who are indifferent the work of Christian mission and evangelism are indifferent to Christ. And if those who are indifferent to the missionary work of the Church are listed among the goats what will happen to me if I misuse my liberty? What if I don’t, by indifference, keep others from hearing the Gospel but actively “cause of my brother’s falling”? How can I be saved if I use my liberty to hide the Kingdom of God? If I erect obstacles to the salvation of others? Brothers and sisters, Christ has called us not to be stumbling blocks but apostle! Our task, our great calling as Orthodox Christians, is not simply to proclaim the Kingdom of God, but to heal those wounded by sin and to free those held captive by the Enemy of souls! We can only do this if we first commit ourselves, personally, to live as disciples of Christ. It is only then, as the fruit of repentance, that we can discern the contours and content of our own, personal, calling as witnesses to the Resurrection and ambassadors of Christ (see, 2 Corinthians 5:20; Ephesians 6:20), as co-workers who have not received the Gospel in (2 Corinthians 6:1) but who daily cooperate with Christ as He “reconcile(s) all things to Himself, by Him, whether things on earth or things in heaven, having made peace through the blood of His cross.” (Colossians 1:20). My brothers and sisters in Christ, as we prepare to keep the Great Fast, let us commit ourselves once again to Christ and to the knowledge that our salvation depends not only His grace but our willing, and generous, cooperation with His proclamation of the Kingdom of God. I can’t enter the Kingdom if I fail to proclaim the Kingdom. And I can’t remain in the Kingdom, I close the Gates of the Kingdom behind me against those who seek admission.